After the Plymouth Canton School District purchased Miller Woods and the surrounding farmland from Norman and Cornelia Miller in 1968, the property was left unsupervised and vandalism and destruction were the results. A local group of folks, concerned that this historical tract of land was going to be permanently destroyed, rallied and formed the original Friends of Miller Woods in 1975. 2018 marked the 50th anniversary of the acquisition of the property! The goal of the Friends of Miller Woods is to inspire responsible stewardship of this historic forest through education and community awareness. The group has continued to be active in preserving and protecting the woods. 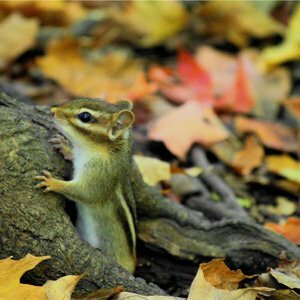 They offer tours of the woods to community and educational groups in spring and fall, remove invasive shrubs, build and maintain benches, nesting boxes and signage, and keep the trails free of fallen trees. They work to raise awareness of the historical and ecological importance of Miller Woods, by participating in school board meetings as necessary and join other ecologically-oriented organizations for educational offerings. Newsletters are published and mailed to members regularly. The newsletter includes information about upcoming tours, educational articles about various trees, animals, or plants of the woods, and updates on what the board members are doing or need help with. We are always looking for volunteers of all ages to help with maintenance or administrative activities at Miller Woods. We have several projects that would be ideal for scout troops, church youth groups, etc. CALL ANY BOARD MEMBER LISTED ON LAST PAGE. The contents of this webpage are Copyright © 2019 Miller Woods. All Rights Reserved.